After slow shira at Seudah Shlishit, and last minute Tish B’Av preparations, all the chanichim met at the Beit Yaakov Levi for Maariv, Eicha, and Kinot, followed by an optional slow shira in the tree house. It was a great way for the entire Machaneh to set the mood for Tisha B’av. When it came time to say kinot once again on Sunday morning, the chanichim split up into groups with different kollel members, and went through the meaning and explanation of each kina. The entire Machaneh then gathered on the hill to bury the genizah, a long standing tradition at Machaneh. Later in the day, after an exteneded Shaa’t Menucha, and the sun was already beginning to set, the chanichim watched a classic camp Tisha B’av movie: Operation Thunderbolt. When the fast was over everyone gathered to daven Maariv, make Havdalah, and break the fast. After everyone ate a filling dinner, the chanichim had a much needed free swim. Later they were told to all meet in the gym, and Yitzi, the Rosh Mosh told all of the chanichim that they were going on a chutz. When all of the chanichim made their way to the migdal, he told everyone that they were going to hike to the chutz site. The chanichim seemed confused as to why the chutz was starting so late at night, but started the climb regardless. At that point Yitzi announced that it wasn’t the chutz at all, it was MACCABIA! The team names are Sfard, Spain, and Tzarfat, France places in which some of our greatest Rishonim were born. Hatzlacha Rabbah to both teams, and be sure to check back in to see who wins! The first Shabbat of second month was one to be remembered by all. The kids snaked out of Mifkad and straight into davening where echoes of Lecha Dodi could be heard all the way to Highway P! The energetic Chanichim joined Plugah, Avodah and guests to welcome in the Shabbat at Beit Yaakov Levi. The zemirot at Friday night dinner were so loud that the room felt as if it was shaking. Shabbat day was filled with tons of Ruach at Lunch as well as other times throughout the day. After lunch everyone davened Mincha and then the Chanichim had parsha shiur. This Shabbat marked the tenth Yahrtzeit of Yaakov Matanky zt”l. Rabbi Leonard Matanky, Yaakov’s father and longtime member of the Moshava family, delivered a shiur to Mach Hach, Avodah and tzevet in Beit Yaakov Levi, the outdoor Beit Knesset built in Yaakov’s memory, during Sha’at Menucha. Other members of the extended Matanky family joined us in Machaneh for Shabbat to mark the occasion. Yaakov made an indelible mark on the lives of all who worked with him and especially influenced the lives of his chanichim. He was loved by all and his memory will be forever cherished by the entire Moshava family. After Sha’at Menucha (rest time) the chanichim came back to the chadar ochel for “nosh” – afternoon snack. The chanichim then went to mifkad and snif, a Shabbat afternoon activity led by Mach Hach. At seudah shlishit the chanichim experienced one of the most moving parts of Shabbat, slow shira (singing). What a great way to end such an amazing Shabbat. After seudah shlishit, the chanichim davened Maariv, and then Sgan, Adir Pinchot led an amazing Havadalah. After Shabbat, the fun did not end. The boys and girls played older shevet versus younger shevet dodge ball. The younger shevet won, and everone is looking forward to a fun filled week in camp. All of the Campers have Arrived! The chanichim were equally excited as they learned their kvutzot (bunk) assignments and were welcomed with warm smiles by their madrichim (counselors). All the kvutzot were assigned either a modern day leader of Israel, and each kvutzah will be learning about their leader at some point throughout the month. The chanichim then headed over to their tzrfim (cabins) to unpack and settle in for the month of fun that lies ahead starting with tonight’s night tochnit. To view the bunk list for Moshevet HaRishonim click on “Parent Login” on the menu bar. Once you are logged into our CampInTouch Portal click on “News”. All of the second month tzevet has successfully arrived in Machaneh. When they first arrived at camp they were given a warm welcome by Rosh Mosh, Yitzi Matanky, and his sganim Adir Pinchot and Sarah Bayer. The tzevet then played some ice breakers in order to familiarize themselves with their new tzevet members. Everyone was excited to be in camp whether it is their first summer or tenth summer. For more frequent updates and pictures from Maccabia, check us out on Facebook and Twitter! Almost 10 years have passed since we lost Yaakov Levi Matanky, z”l. His smile is seared in our memories. His booming voice still rings in our ears and we can still hear it echoing off the “valley”. With his 10th yahrzeit rapidly approaching, we have created a special site, www.hakolkolyaakov.org, that will serve as a repository for memories of Yaakov and a place to continue his work of promoting Camp Moshava and exposing more chanichim (campers) to its enlightening and enriching opportunities. Please visit www.hakolkolyaakov.org and share your memories and/or photos of Yaakov.  Please also consider helping us raise money for the Camp Moshava Wild Rose scholarship fund to help current and future chanichim benefit from the experiences that Yaakov cherished. Leagues, Tzahal and So Much More! It’s our last week of first session, which only means one thing…We’re just getting started! There is always more fun to be had, and more to learn! This week we started a special Peulah dedicated to learning about Tzaha”l. We are being trained by Ohad, our resident Tzaha”l expert. He is teaching about what it means to be a soldier in the Israeli Army. There was a ropes course, strategy planning and drills training. The chanichim are enjoying this opportunity to learn from Ohad and to train to be an Israeli soldier. At night, Ohad gave a special sicha to Tzevet about the army. We are also in the middle of our basketball leagues right now. All the chanichim were split up into teams and given coaches. This is an opportunity to play and interact with other people in camp. Once the leagues “wind-down,” there will be a championship game that all chanichim can watch and cheer on their friends (stay tuned to find out who wins!). If you didn’t see our Moshava Minute last night from the scavenger hunt, click here. For more frequent updates and pictures, check us out on Facebook and Twitter! The entire machaneh (including Machal) gathered in the chadar ochel this evening. With excitement on all of our faces, we watched as our friend, and chanich here, Edon, appeared on the hit live television show, America’s Got Talent. Of course he was amazing and everyone cheered him on. After he was done on TV, we received a special pre-taped message from Edon. He thanked us all for our support and then told the chanichim that it was MACCABIA BREAKOUT!!! Thank you to Edon and all his family for your help in getting this ready. And good luck to Edon, we are all rooting for you!! !